Enrollment options: Select the class you would like to enroll in from the list of available classes. On-going open enrollment is available for Self-Paced Classes only late enrollment will not be allowed in teacher directed classes. Students are required to attend the first day of class or the student may be dropped from the class. If a student is dropped from class, another student from the stand-by list will be added to the class. If you require a typing certificate to verify your typing speed and accuracy, we are your solution. Typing tests consist of two 1-minute warm-ups and a 3-minute or 5-minute scored typing test, which you can take up to 3 times to obtain your best score. You receive a signed certificate authenticating your score. Test Fee $20 Cash Only. Scared to turn on a computer? This absolute beginner’s course will teach you the basics, from logging on and using the mouse, to desktop toolbars and printing documents. Discover how to create, save, view and edit your documents. You will also learn to change fonts, use formatting tools and browse the Internet (does not cover email). Most importantly, you will gain the confidence you need to make effective use of your computer. After completing this class, students can successfully face the challenges presented in Computer Basics 2. Grasp the fundamentals of Windows 10 and Microsoft Word. Learn how to create a Word document, how to use the Quick Access Toolbar and Ribbons, how to add clip art to make flyers, write business letters, create envelopes, labels and more. After completing this class, students can successfully face the challenges presented in Word: Beginning, Windows File Management or Internet. Prerequisite: Completion of Computer Basics 1 or teacher recommendation. If you are transitioning to Windows 10, this class is for you. we will explore new features available in Windows 10 including the start screen, home an tiles, desktop interface, charms and side bar. Learn to back up our files, create folders and organize your files and photos, burn CDs and create movies from your pictures and videos folder. Prerequisite: This class is designed for individuals who have some basic computer knowledge and wish to prepare for more experience using their computer. Learn to efficiently browse the web, search, bookmark, and use the various features of Internet Explorer and Chrome. Gmail is the most popular free email service in offices today. Gmail topics such as creating folders, filters, signatures, and managing multiple email accounts will be explained. Save an share documents, music, and movies online through Google Drive and OneDrive. This course will also cover online versions of Word, Excel, and PowerPoint which provide the ability to work from any internet connected computer even if proper software is not installed. Prerequisite: Mouse, keyboarding, and Windows File Management skills. This class provides thorough beginning training in Word. Topics include the new office environment, Ribbon and Tab interface as well as learning to create, edit and save documents and formatting text, paragraphs and documents. Learn effective navigation and selection techniques; create custom tabs and tabs stops with leaders, indents, paragraph alignment and line spacing. Create tables, use powerful proofreading and correcting features including find and replace text, AutoCorrect, and Spelling and Grammar. After completing this class, students can successfully face the challenges presented in Word: Intermediate. Prerequisites: Basic computer experience, File Management skills. This hands-on class is designed as an introduction to Excel with an emphasis on applying realistic office/business examples. Learn to create, modify, format and print worksheets by entering and editing text and number values. Enter and apply basic formulas and functions, insert and delete rows and columns, change fonts and use conditional formatting. 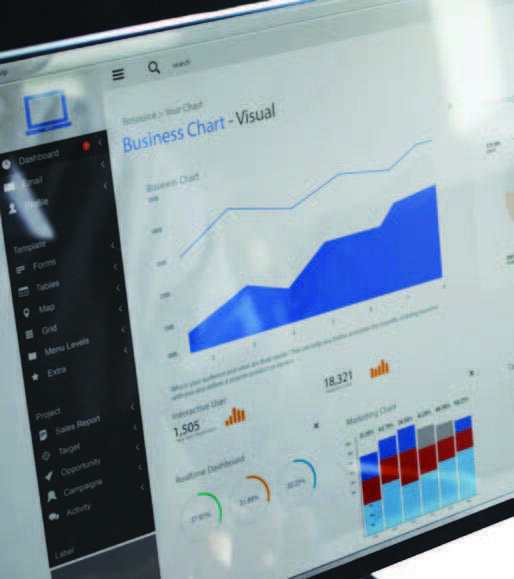 Create, modify and print charts and graphs. This course is appropriate for those with some computer knowledge and those that are self-taught. After completing this class, students can successfully face the challenges presented in Excel: Intermediate. Prerequisite: Basic computer experience, File Management skills. Move beyond the basics in this Excel Intermediate class. Learn how to move data within and between workbooks, manage large worksheets, link multiple worksheets/workbooks and use advanced formatting features. Learn to outline and consolidate data, link formulas, and format using styles, insert images and SmartArt and create and use Templates. Create and use cell names for greater understanding and ease. Learn advanced filtering options to find and organize your data. On site, in class, final exam score of 80% or better required for certificate of course completion. Prerequisite: Completion of Excel: Beginning, Basic computer experience, File Management skills.